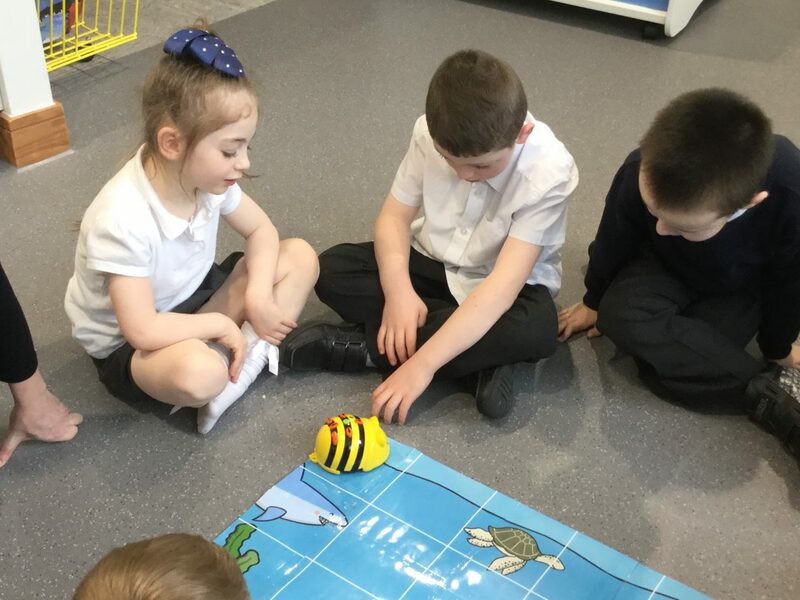 P2 and P1/2 had fun in the sun today when we took our sensory circuits outside. This sets us up for the hard work of the day. 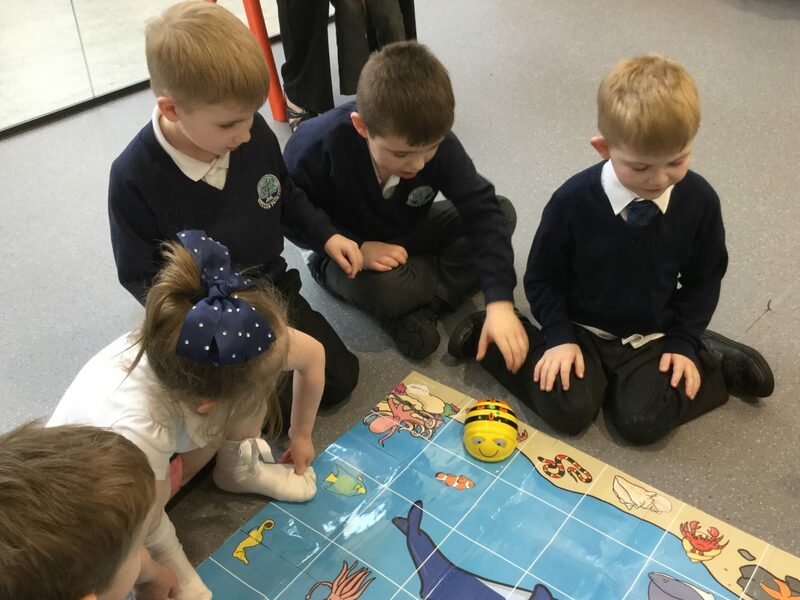 The boys and girls from P1-3 across the school are enjoying their nurture afternoon watching, ‘Inside Out’ with some parents, family members and friends. We’re looking forward to our workshops tomorrow morning too. 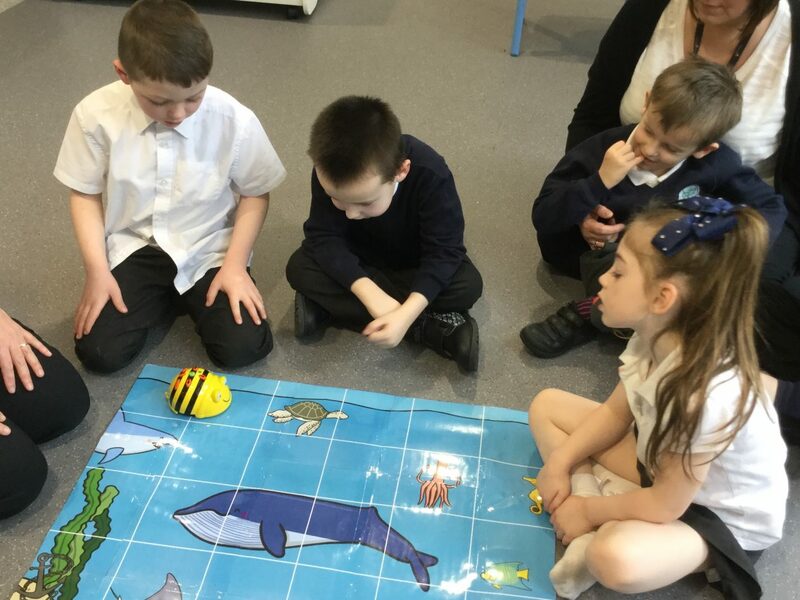 P1/2 andP2 LCSC bee bot fun. 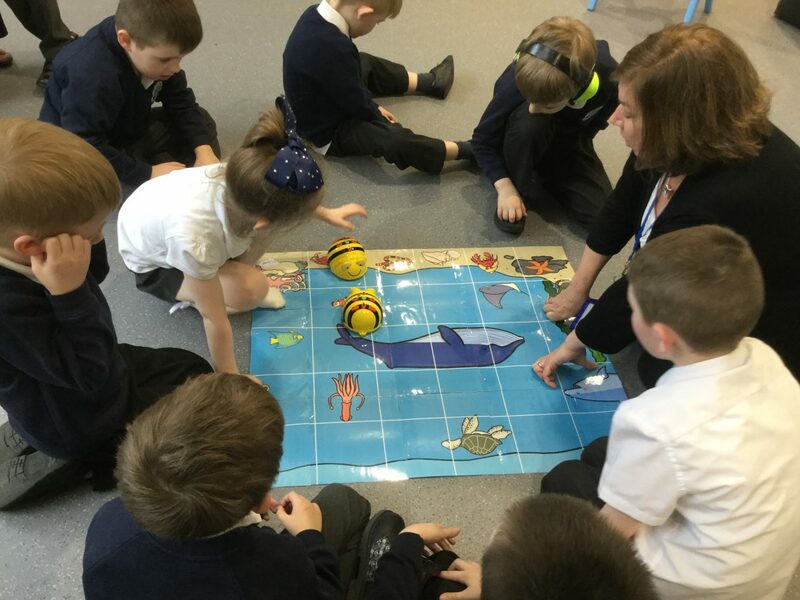 We have been learning positional language in Maths lessons. 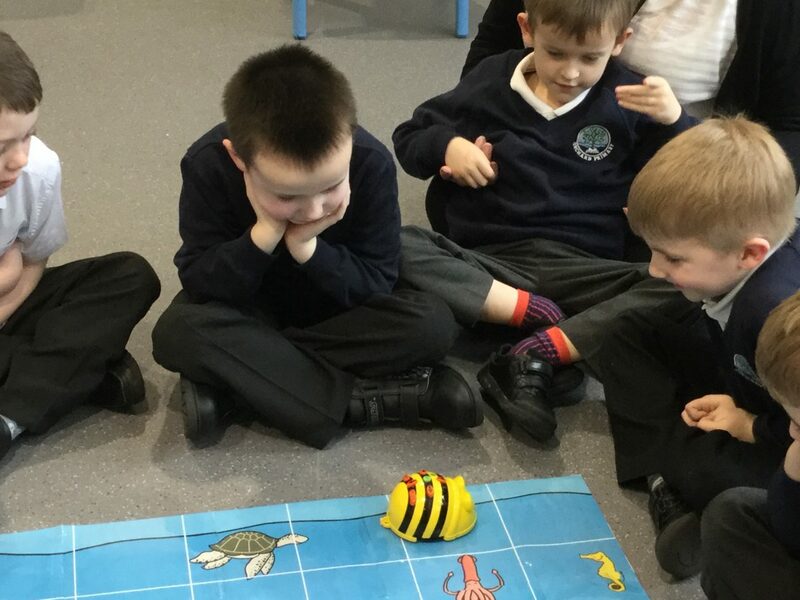 Today we had lots of fun programming the Beebot to travel to places on the “under the sea” Beebot mat. 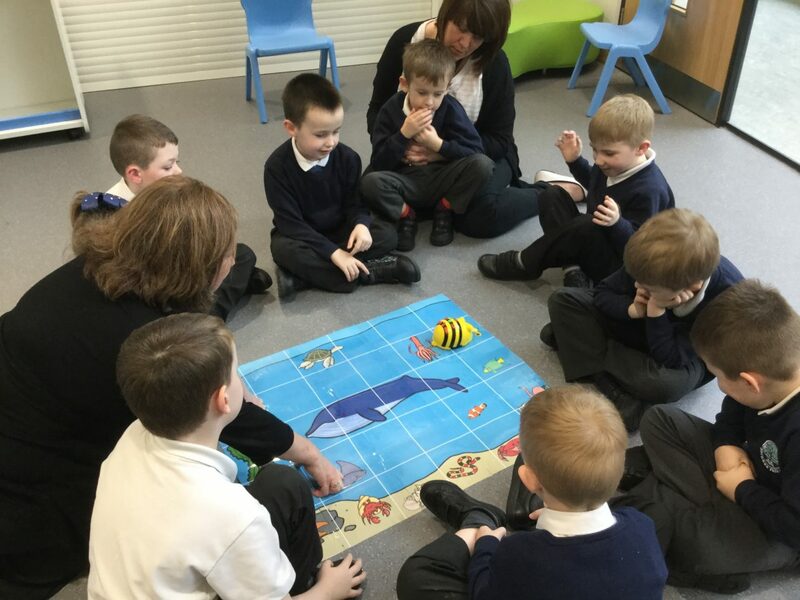 P1/2 children were trying out their new Yoga Spinner Game – working individually and in pairs. Working hard doing addition and threading. 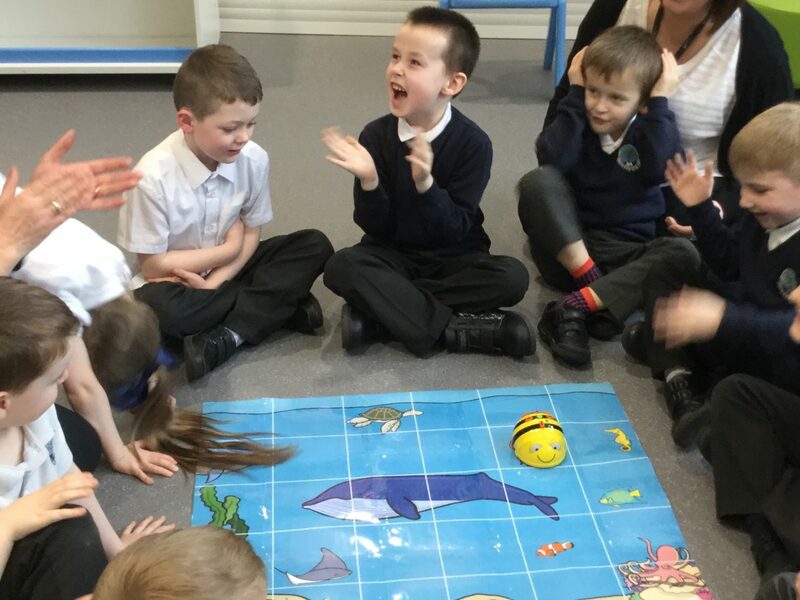 Children in Primary 1/2 needed some sensory input this morning. 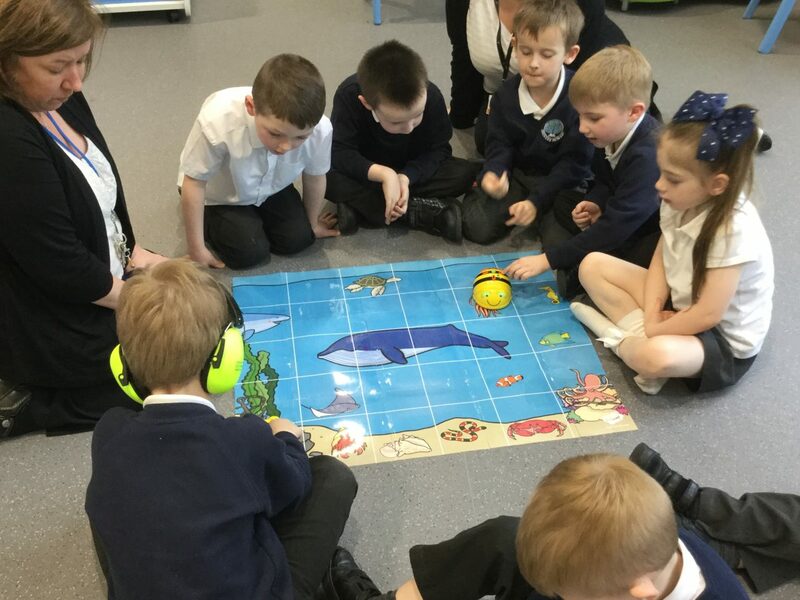 After spending some time using the sensory equipment, they were all feeling far more calm and relaxed.